Every day your body is constantly being bombarded with toxins from bad food choices, the environment, medications and a range of other sources you constantly touch, consume or inhale. In fact daily you are inhaling fumes and inadvertently consume chemicals regardless of how ‘clean’ you live. Did you know there have been over 80,000 new chemicals produced since World War 2 so your body is pretty much in overdrive all the time to try to eliminate them. Chances are if your body is ready for a detox your brain will give you a few (or lots) indicators. You might be feeling mentally drained, vague, anxious, tired, have mood swings, trouble sleeping or a mixture of any or all of those things. After a detox many of these symptoms will dissipate leaving you feel clear headed, more relaxed, refreshed and with enough energy to get through your day. Suffering from recurrent headaches, muscle aches and weakness, recurrent infections, skin conditions, finding it difficult to shift weight and finding your body extra sensitive to environmental chemicals, odours or nutritional supplements is warning from your body that something isn’t quite right and you’re well due for a detox. Other signs like constipation, nausea, piles or bloating are also all indicators that the liver is sluggish and struggling to process what’s being put into it. We all know that fast food, fatty foods, smoking and alcohol consumption aren’t so great for our body. If you’re finding you’re doing an excess of all or any of these as well as not taking time to exercise, meditate or relax in some way shape or form then it might be time to detox. If not just for your mind and your body, but also to recalibrate your lifestyle. If it’s been a while (or never) since you’ve detoxed you’re likely to experience a number of side-effects while your body and (most importantly) your liver releases all it’s excess toxins. Some of these side-effects include headaches, nausea, bad breath, skin outbreaks and changes in bowel motions. Whilst these sorts of side-effects of detoxing aren’t pleasant, the resulting long-term gain will far outweigh the short term pain. 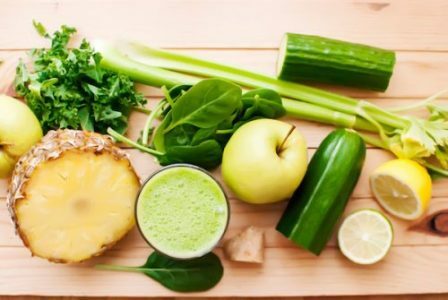 There are many things you can do to cleanse including, exercising, eating whole foods, drinking pure water, herbal teas and fresh juices, eating a balanced diet, dry-skin brushing, massage, taking a holiday and relaxing in a sauna to name a few. And if you haven’t detoxed before or are on prescription medication, it’s recommended to seek advice before starting a detox program and it’s not recommended to detox whilst pregnant. At Banksia Women’s Healing we can work with you and support you on your cleansing journey and provide guidance through Chinese medicine, massage, acupuncture and cupping, Australian Bush Flower Essences among a range of other natural and alternative medicines. Talk to us today about your journey to detoxing your body and a healthier you.